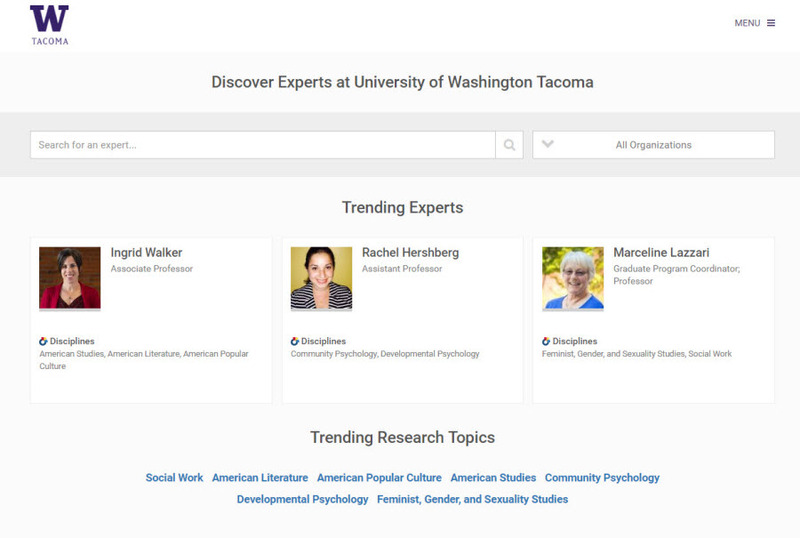 Whenever I’ve shown SelectedWorks author profiles on campus, the most common question to follow is: Will this platform help us search and identify faculty based on their research expertise? 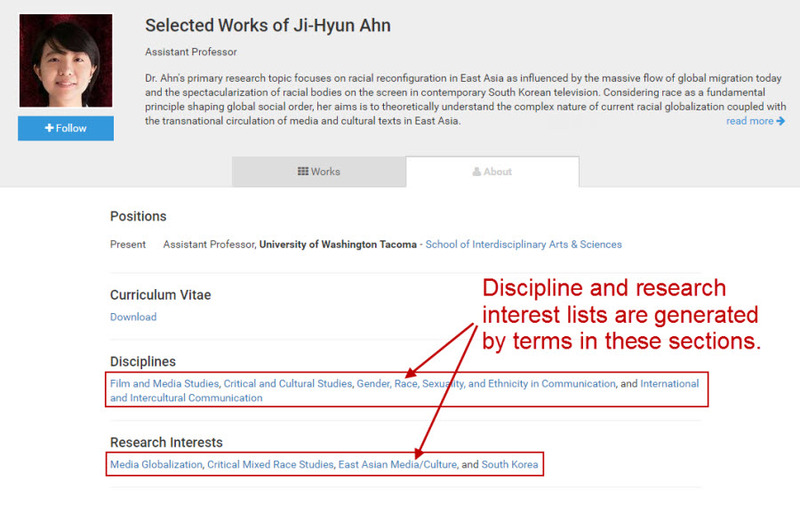 The potential for doing this has always been a part of SelectedWorks — all of the profiles allow authors to identify their disciplines and research interests — but up until recently, this data was not easily searchable. I’m pleased to say, however, that this has changed with the UW Tacoma Expert Gallery. Screenshot of profile “about” page showing disciplines and research interests. Help researchers with complementary interests find each other. Connect student researchers with faculty advisors or projects. Identify areas of expertise on campus for internal and external queries. It must be emphasized, however, that the Expert Gallery is in beta mode, meaning that it is still under development. Also, the gallery is far from comprehensive; currently only about half of all UW Tacoma faculty members have SelectedWorks author profiles. Also, you may always login to and edit your profile at any time. Instructions on how to create, access, and customize your profile can be found on my libguide to Digital Commons. If you have any questions, please contact me. This entry was posted in About Digital Commons, SelectedWorks Author Profiles and tagged Experts Gallery, SelectedWorks Profile on September 7, 2016 by taclibdc.